According to the Lloyd’s List Scrubbers Survey, in less than a year the permitted levels of sulfur in marine fuels will fall in emission control areas to 0.1% when the latest emissions regulation begins on January 1st, 2015. In the shipping transportation industries, they brigh a lot of economical values with rising a number of fleets. Unfortunately, this development always encloses to the environmental pollution issue. According to the laws of the International Maritime Organization (IMO), ships are required to reduce the emission of SOx in the water areas in the world, these areas are known as emission control areas (ECA) or SOx emission control areas (SECA). The mandated guidelines of the international organizations are estimated to create lucrative opportunities for the scrubber manufacturing companies and scrubber installations in the new ships or retrofit installations. This has led to the emergence of the global marine scrubber systems market. 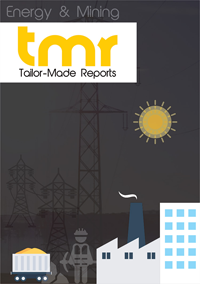 The global report is based on the procurement, analysis, and exegesis of data on the industrial liquid coatings market collected from comprehensive sources. The competitive landscape section of the report provides a clear insight into the market share analysis of key industry players. The report gives and examination of the market competition that could be experienced by players. The report discusses possible market investigation strategies for new personals and business ways that present players could take. The report is a comprehensive examination of marine scrubber systems market, its drivers, challenges, and key trends that the market is anticipated to witness. The wet scrubber segment led the scrubber system market in 2017, and is expected to dominate the market during the forecast period. Wet scrubbers are effective air pollution control devices for removing particles as well as gases from industrial exhaust streams. Wet scrubbers are generally the most appropriate air pollution control device for collecting both particulates and gas in a single system. While closed loop and hybrid systems are available for enclosed bodies of water with little water exchange or where discharges are restricted by local regulation, the ECGSA suggests open loop operators switch to low sulfur fuel for port stays where open loop operation is not possible. The cost impact is likely to be limited as over 90% of fuel consumption is during full away at sea, which is where the financial benefits of scrubber-related fuel savings really accrue. In 2017, Yara Marine has been grated patent for exhaust gas cleaning scrubber technology along with the development of its inlet and mini scrubbers available for varying range of engine sizes. As the first marine exhaust gas cleaning company, it has received the EIAPP scheme B certificate, guaranteeing full compliance for the vessel’s engine and SCR system combined. For Yara, the EIAPP certificate, marks an important milestone in the company’s history as it is the first time an exclusive exhaust gas cleaning provider has been able to complete a full system test resulting in the Scheme B, emission certificate. On the basis of geographical segmentation, the global industrial liquid coatings market has been segmented into-Europe, Asia Pacific, North America, Latin America, and the Middle East and Africa. The U.S. marine scrubber systems market will grow owing to growing concern toward limitation of overall sulphur emission rates along with extensive R&D activities to manufacture sustainable systems. Asia Pacific marine scrubber systems market is set to witness strong growth on account of rising seaborne trade activities. Rising awareness toward SOx and its impact on health coupled with strict norms to curb pollution will propel the business landscape. Asia Pacific marine scrubber systems market is set to witness strong growth on account of rising seaborne trade activities. Rising awareness toward SOx and its impact on health coupled with strict norms to curb pollution will propel the business landscape. Leading vendors operating in this market include Wärtsilä, Alfa Laval, Yara, CR Ocean Engineering, AEC Maritime, Clean Marine, DuPont, Shanghai Bluesoul Environmental Technology, Mitsubishi, Fuel Tech, Johnson Matthey, SCL International, GEA, Scheuch Gmbh, Albonair, Kwangsung, FLSmidth, Fuji Electric, Damen and Ecospray Technologies.